“I got shot in both of my legs, in my thighs,” Patience Carter remembers with a shiver. She was hiding in the disabled cubicle of Pulse nightclub’s bathroom on June 12 when Omar Mateen – the killer spraying the club with a semiautomatic rifle – burst in. He spotted Patience and a group of terrified clubbers with her. He saw one lying on the floor, said: “Hey you” – his last words – and fired. “I thought it was over, the end,” she says. But Mateen’s rifle jammed, and she was saved by the police, who knocked a hole through the wall to storm inside and kill him. She came to Pulse with two friends that night. Tiara survived. Akyra did not. Patience has replayed this ordeal in her head over and over in the six months following the attack, the worst on American soil since 9/11. She and other survivors told The Tab how they are still coming to terms with their scars, their nightmares, and the guilt of leaving that club alive. For some, the trauma of Orlando didn’t immediately set in. 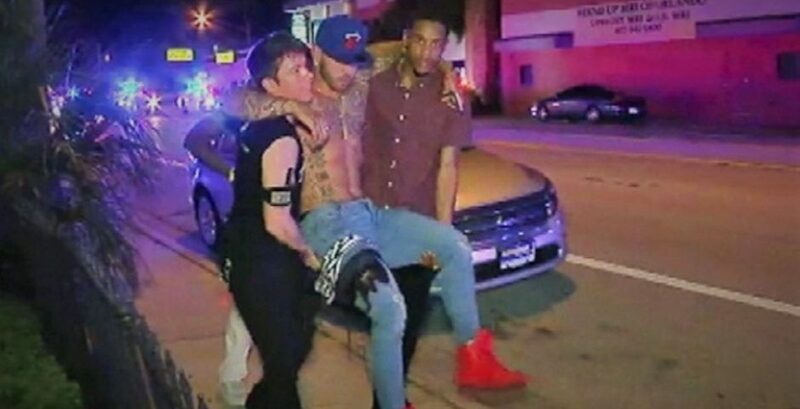 Chris Hansen, whose first night out in the city was in Pulse, escaped but stayed nearby to treat the injured. He stopped the bleeding of one gravely wounded clubber – “it was bubbling over like lava” – and kept another awake who was about to pass out and succumb to her wounds. His efforts were noticed at the time by the news cameras on the scene, and were seen as nothing short of heroic. I try to say there’s no need to apologize, but there’s not much comfort I can give from the end of the phone line. For a few strained seconds, there’s silence. Are a lot of days like this? Perhaps the cruelest reminder came in the twisted reactions that emerged online following the attack. True to the claim we now live in a post-factual era, cries of hoax! began to surface from the tinfoil-hatted fringes of the internet shortly after the massacre. Self-appointed truthers claimed Orlando was a false flag operation posed by crisis actors, of whom Chris was a key figure. 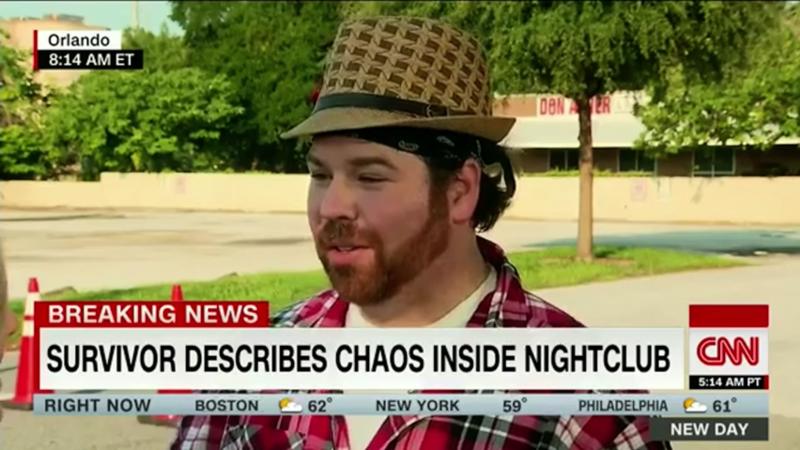 After he spoke to network news, conspiracy theorists pounced on his story, labeling him a fraud. They found similar-looking actors, neither of whom live in Florida to “prove” Chris Hansen was just his character’s name, and his TV interviews were no different to prior acting gigs. This was proof, they howled, that the mainstream media was broadcasting fictional news reports: the massacre was staged! As the counterfeit facts spread, the trolls cranked into gear, and zeroed in on Chris. Orlando Shooting Hoax – Chris Hansen (Actor) – Ear Attachment – Exposed https://t.co/JHvqcRlLdE via @YouTube ANOTHER CRISIS ACTOR OUTED. 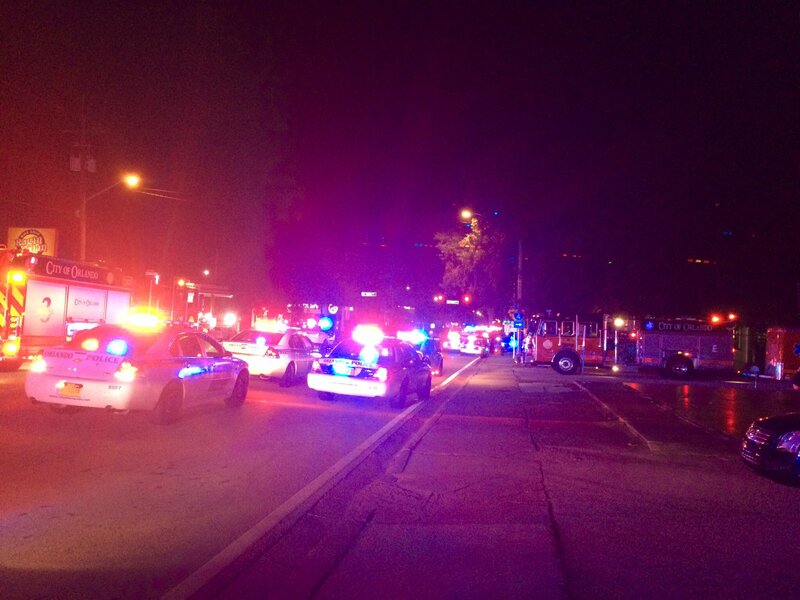 Harder to pin down is what the loss of Pulse means to Orlando, particularly the LGBT crowd. The club’s promoter, a larger than life character called Orlando Torres (he wears an immaculate red pimp hat when we speak, and tells me his swag name is “Pimp Daddy Orlando”) says it was “a special place” for the gay community, a safe haven for going out. And now it’s gone. Most painful, most poignant, is the guilt that comes with still being alive. Conspiracy theorists will move onto new targets, injuries adjusted to, but the guilt stills stands in front of their way to recovery.